Is Nepal in danger of being buried in data overload? 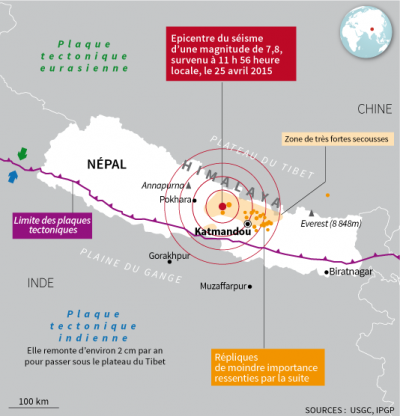 The deluge of data about quake conditions may be part of the culture of an over-documented Nepal. Watch for Part 2. Meanwhile Part 1 : A city’s, a nation’s, disquiet sleep. Whether accepting belated, useless advice from the US Geological Survey, or prosaic utterances of their prime minister– the lackluster, fatigued Sushil Koirala– or facebook rumors, Nepalis are in a 72-hour state of suspension. (Maybe it will be again extended.) 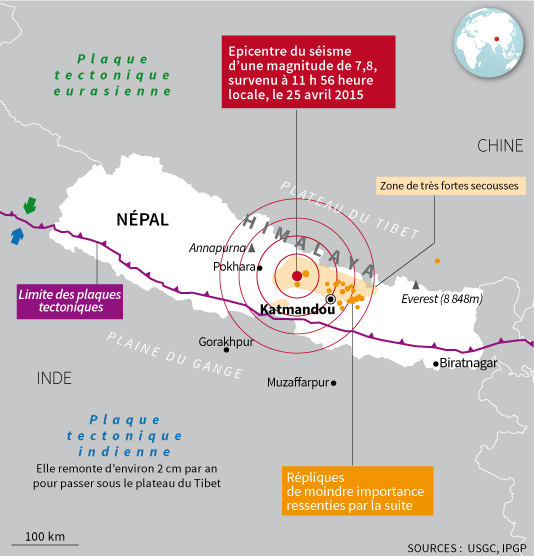 After Tuesday’s frightening quake, although damage and casualties are less, a subdued but undeniable panic and much disquiet has emerged, perhaps greater than what followed the first and greater quake 18-19 days ago. Yesterday (Tuesday)’s 7.3 upheaval may be more unsettling because it has toppled more structures and exposed the fragility of anything left standing. And we’d thought it was over. (The experts told us.) We’d gotten organized. Thinking of others, we began ferrying relief beyond our city to hard-hit villages; we were about to reopen our schools and we began repairing our homes; phone service was almost normal; we visited sisters and cousins to examine their houses and to celebrate our survival; we shared stories of those who hadn’t…may God bless their souls; we were emailing relatives abroad that all was fine; we called the engineer’s association to code our homes red, orange, green; we were sending away foreigner rescuers assuring them we could manage. We felt proud to have united as a people, collecting private funds and delivering relief to distraught villagers in nearby hills. We cheered our young people in their selfless outreach to needy strangers; our youths, we learn, are responsible and patriotic after all! This warm sense of gratification was upturned by the 10 second (some say 20) strike from under our feet on Tuesday. That night we found ourselves abandoning newly cleaned apartments and refilled water reservoirs and cleared paths to take note of new danger markers in the streets, and to drape still more tarpaulins and spread synthetic rubber mattresses on nearby concrete and grass spaces. We rejoined neighbors measuring our fear with theirs, telling funny stories, playing cards, monitoring even our older children. Why? Well, we’re waiting for the next quake. We have no assurance, neither from authorities nor experience nor instinct, that it will not come; and we see all these dwellings poised more and more precariously all around us. We’ve learned that staying in a clearing is safest, that’s why we’re camped in gardens and playgrounds and stadiums, and tying our tarp to the fence by that stinking river. More people, we are told are fleeing the city; with their departure there will be fewer vegetable sellers, taxi drivers, waste collectors, house servants, hotel staff. All this points to two issues: first, there is no leadership in this country—Nepalis already know they are without a moral or administrative rudder; they have yet another opportunity to witness the selfishness and incompetence of those in positions of power. (How did we foolishly hope for more at this time?) Second, by contrast, our tenuous conditions here in Kathmandu reveal a compassion and a capacity for inter-communal sharing and stability among that’s quite astonishing, and admirable. Anecdotally and through the press, there are only rare reports of criminal activity. The rows and rows of concrete dwellers seem quite safe from human marauders. These 100s of 1000s of camping families, insecured under only tarpaulins aren’t homeless people normally; their apartments and houses and shops are nearby, structures they enter for a moment or hour to cook, wash, toilet, and to store utensils and blankets they deploy during these nights outdoors. Some families cook early and bring the pots under the tarps at meal time. Some cook outside. Police presence is sparse but not absent. (One policeman came by Wednesday evening to say we can collect 3 tarps from their local office.) There seems to be no sense of danger from thieves or thugs, neither risks to women or the young. I walk out to the main road along the river to snap some photos at nightfall. A long line of tarpaulins, each tacked down in an individual way mark off what I assume is a family group. Across this street stands a gored 4-story building, with the façade of the third floor gashed, and a 3-foot heap of brinks it disgorged scattered on the road in front of us. This is a danger marker, like many newly laid throughout city streets. All plans for resuming classes or collecting more relief supplies are put aside by any but those professionally involved. (Our own families and lodgings demand priority.) Meetings I had planned are redundant. So I use this horrid respite to reflect on wider issues—a) Nepal’s honorable military performances these weeks, and b) an obsessive quantification of Nepal—and to consult books and reports from my hosts ample library. Frankly I can’t concentrate on those. I too wait for the next rumble. Notes from Tuesday afternoon- “Where to rush, who to grab, what to hold on to, which direction; you feel frozen yet the ground under you is shaking terrifically. You hear things falling. You can’t move your feet, but you must run, and how can you decide which direction to go; how long to wait before rushing? where are the children, what about father, auntie, what about husband? Sister is at the hospital. My phone, where’s my phone? I must go home? How will I get there? Who’ll tell me when to leave, when to return? The city streets are almost impassable with the 100s of 1000s among us making our way home. Any clearing becomes a promise of some protection. Finally, shakily, after 2 hours in clogged traffic (amazingly calm), at 3 I reach our open garden—a few trees, guava, chestnut, avocado– pots of flowers, grass stubble left by soldiers from the nearby military barracks who came yesterday to cut wild growth for their cows — in front of the house of Padma and Nirmal (my hosts, known from earlier research days in Nepal). It’s somewhat comforting to be here but the space is again packed with neighbors. And the mood is sober and noisy. Family clusters gather on the grass. 14- year old Gautham, phone in-hand and buds in-ears, explains he’s listening to music to calm himself.